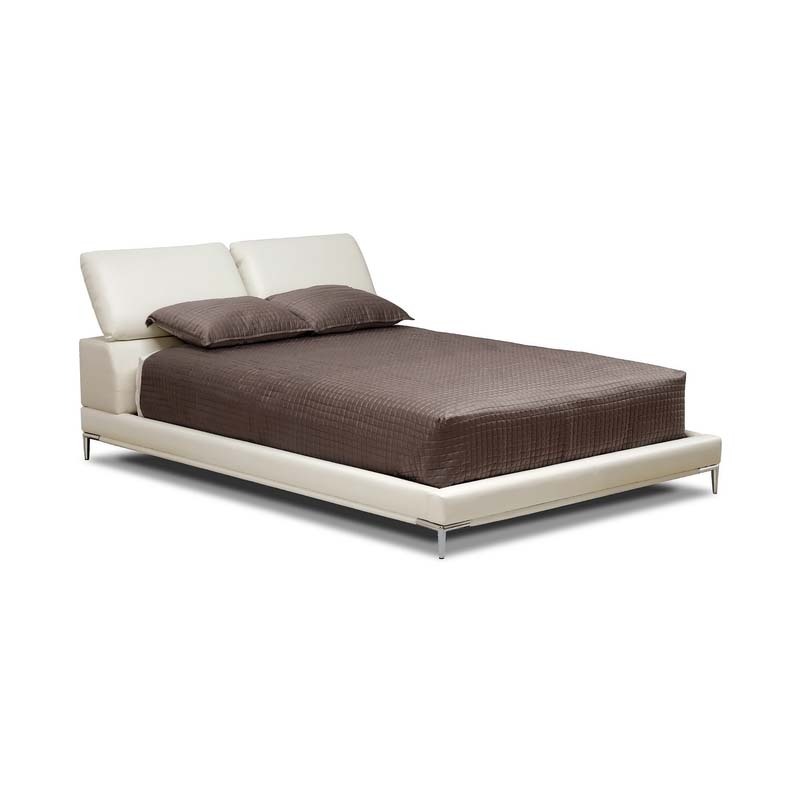 More on the Wholesale Interiors Romar Solid Wood and Leather Queen Platform Bed (Ivory) B-177-8143-Queen below. 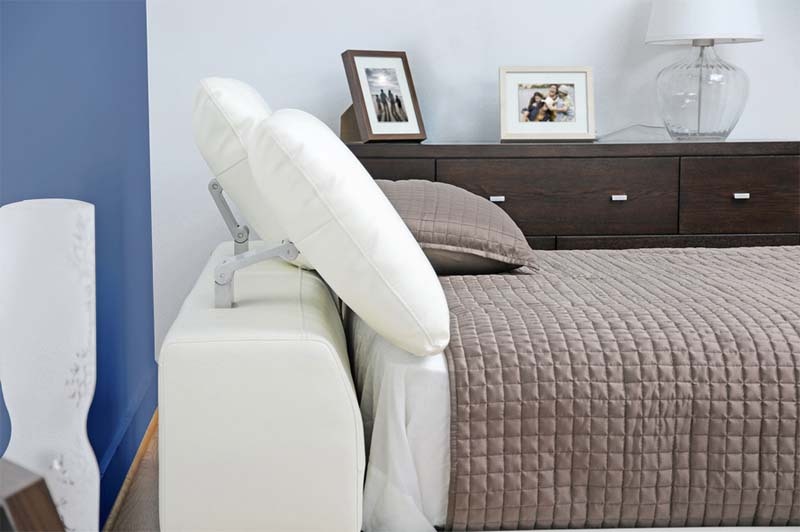 Upgrade your bedroom into a personal retreat with the classy, contemporary Romar Queen Bed. Romar is made of a hardwood frame with light foam padding and beautiful warm ivory genuine leather upholstery. The headboard features two sections, each of which can be separately lifted upward for a higher back support or rotated slightly for reading in bed. With purchase, you will also receive wooden slats which take the place of a box spring (only a mattress is required). Finishing off the look are chrome-plated steel legs with non-marking feet.